Swirl around in grace as you dress yourself up in this beautiful ‘The Beige Serena Long Chanderi Silk Tunic with Embroidery’ curated by Snehal Creations. 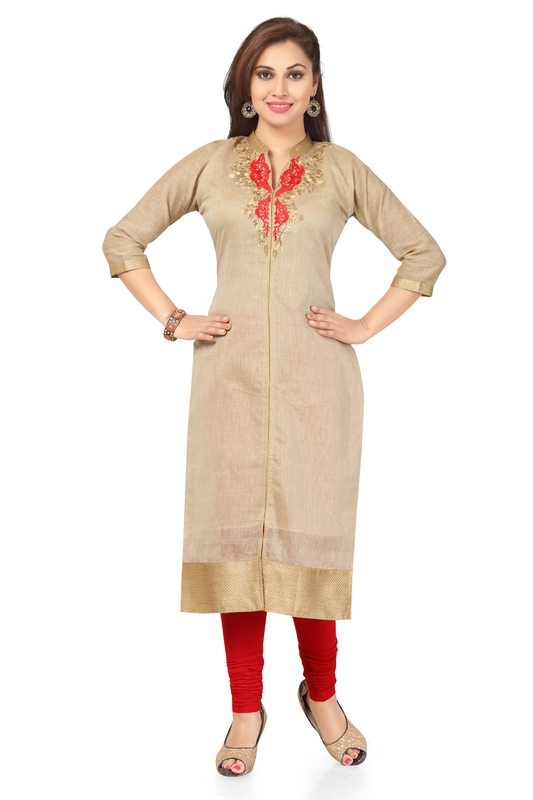 This ban collared tunic is decked with red and beige embroidery at the base of neck line while the tunic is centrally divided by a front panel. Full sleeves of the tunic provide it the much needed formal tones.